Well, another one has finally arrived. The WOOT.COM BOC (affectionately known as a “Bag of Crap”, or any other acronym that contains the letters “B.O.C.”) is here. As Web Watch previously told you about when we ordered our WOOT BANDOLIER OF CARROTS, WOOT.COM occasionally offers grab bags of assorted merchandise for $3 (plus $5 shipping and handling). When you place your order, you have no idea what you’re going to get. Just like the TV show LET’S MAKE A DEAL, sometimes you’ll end up with the most awesome prize ever, or you might get zonked. This WEB WATCH entry was posted in Funny, Gadgets, Internet, shopping, Websites and tagged clothing, website, woot on May 8, 2012 by web gangsta. Web Watch likes bargains, and sometimes you end up getting what you pay for. Take online shopping site WOOT.COM, for example. For those of you who don’t know, woot.com is an online clearinghouse of discount, discontinued, overstock, and occasional new product introductions. 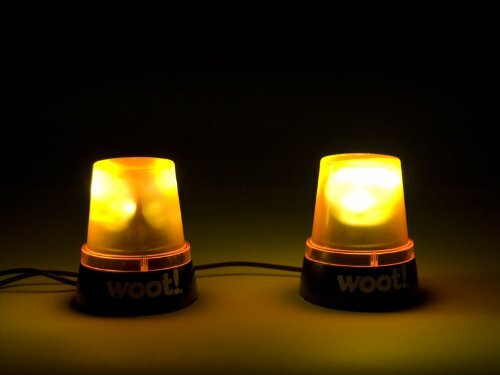 The catch is that woot.com only sells one item a day – and once they’re sold out, they’re gone. The bonus – no matter what you buy from woot, shipping is only $5. So, on occasion when woot is selling phenomenal stuff, like the TIVO SERIES 3 HD DVR (which normally retails for around $400 new) at a woot-tastic price of $169 for a freshly refurbished model – they can sell out relatively quickly, even when users are limited to buying at most three of each sale item. Then there are the other occasions when woot is selling inexpensive camera tripods for $1 each, and they do everything in their power to get rid of them as fast as possible and still not succeed in putting a dent in the woot inventory before the day is through. This WEB WATCH entry was posted in Disney, Funny, shopping, Websites and tagged Disney, shopping, website, woot on April 6, 2010 by web gangsta.